I have just listed a new resource in my store that has taken some time to create. 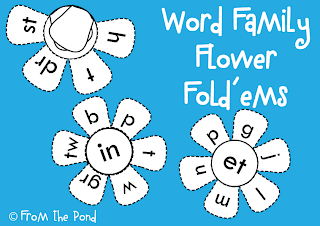 It started with a request to add a blank flower to my "Word Family Fold'ems" resource. A buyer wanted to be able to make her own interactive foldables from a blank flower template. But as usual, I got carried away! 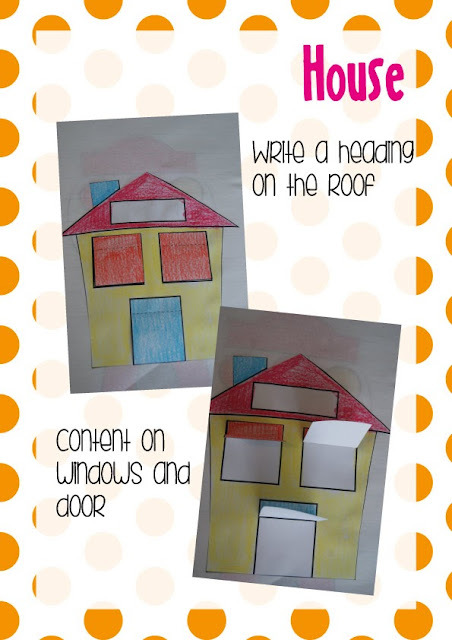 19 templates later, I have a whole collection of 'foldables' that you can use in Interactive Notebooks, as 'Craftivities' or in your own creative way! 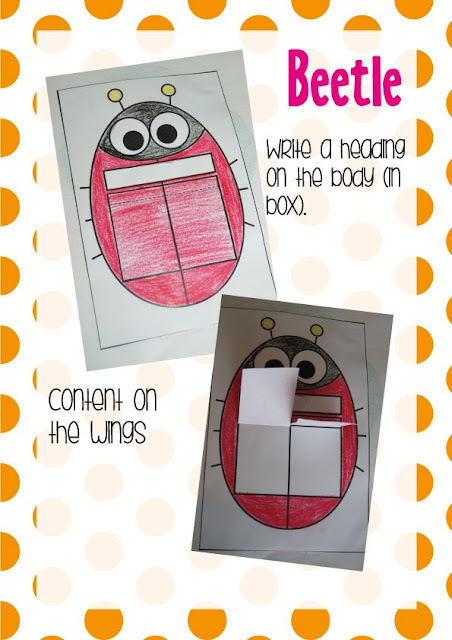 There is a beetle - students can write content on the wing flaps and underneath. and lots more! 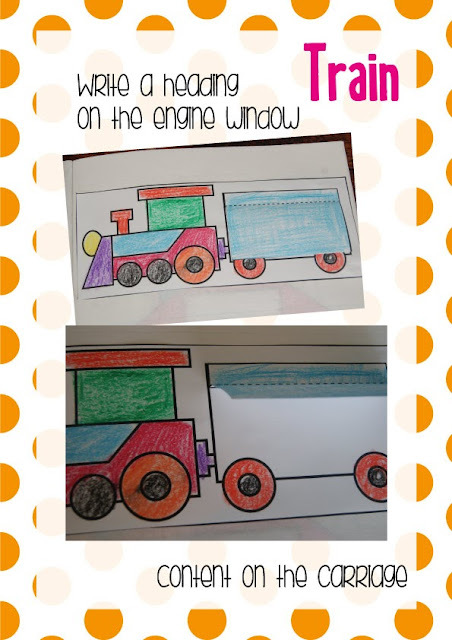 Students can color, cut and glue them together easily to create motivating visual reminders of content for any learning area! Super fun! 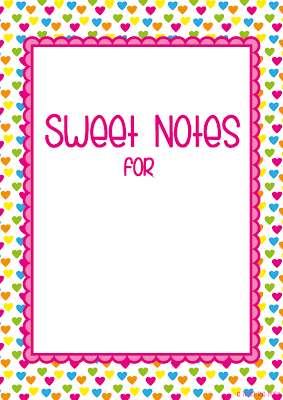 I need a folder to house all the 'sweet notes' I receive as a teacher from my students. All you need to make you own is a folder, the printable cover pages (free at the end of this post) and some sheet protectors. Type your name on the front and print the cover and spine label. Slide them in and its ready! 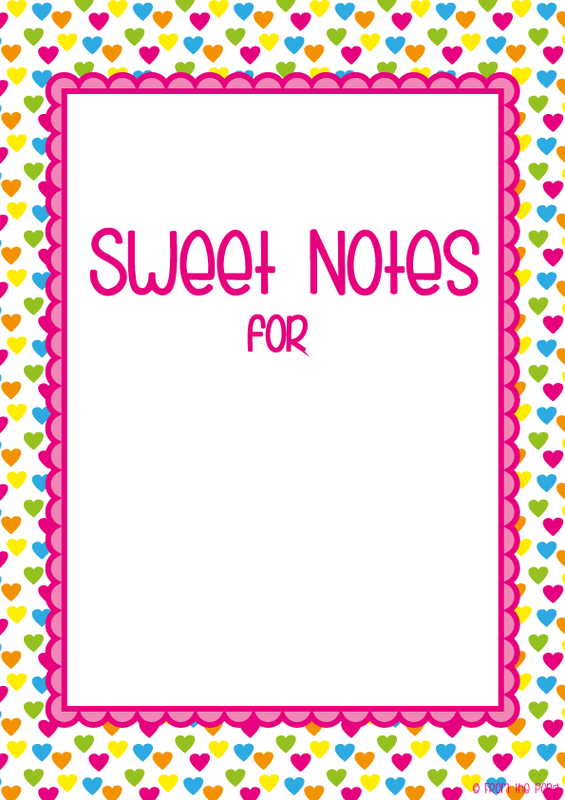 Pop some sheet protectors in and now you're ready to display all the 'sweet notes' you get from your students! I used the font KG Beneath Your Beautiful for this file! You can grab your FREE copy from google drive, by clicking on the links below. I have made an A4 and US Letter version! I know I saw this idea somewhere, and I think it was on my friend Brooke's blog, but for the life of me I cannot find her post! Forgive me Brooke for making my own version! I had some time resting last week, and did some more scrappy 'doodles'. Today, I cleaned them up and gave them the colour, polka-dot and chevron treatment! Here is how they turned out... Hope you like them, cause I am giving them to you for FREE! And to help you on your document-creating way, grab the FREE coordinating digi papers while you are at it! 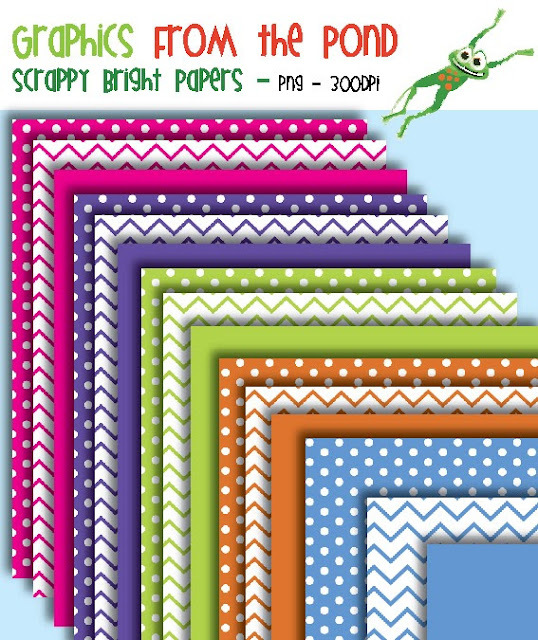 I also took the liberty of adding some PLAIN colour papers - just to make my special friends Brooke and Tania happy! I know they LOVE those plain papers! And I could not resist also including some 'scrappy borders' to go along with the set. Why? Well why not really?! And that my friends, is unfortunately as creative as my post is going to be, as I think I may just have poured every last drop of creativeness into this set! I do thank you for stopping by my blog - have a BRIGHT and happy day! 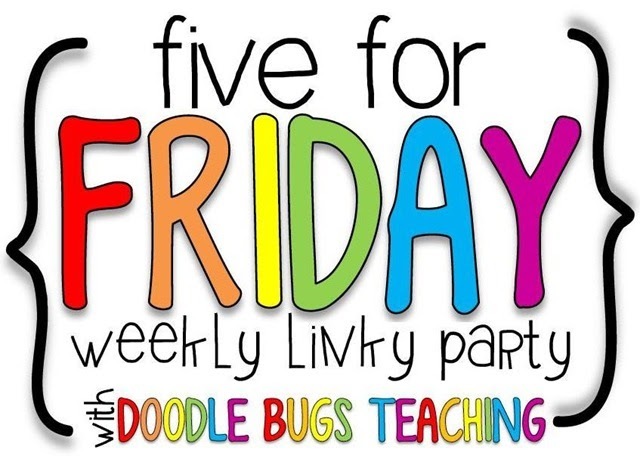 I have been wanting to link up for 'Five for Friday' for a long time and I have finally made it!! I had a week full of random - so finding five random highlights was super easy! 1. Cupcakes. Pretty miniature cupcakes. 4 friends chatting. Delish conversation, laughter and afternoon tea. Does it get any better?! My FAVE was the choc-mint! 2. Lots of scrappy doodling this week! Meet 'Scrappy Jack'! 3. My daughter is learning the piano at school. We She has been practicing at home this week and I think I might just be learning a few things as well! 4. A new addition to my "Kindergarten Writing Books". This one is PERFECT for the first weeks of Kinder and features scrappy little back-to-school supplies! 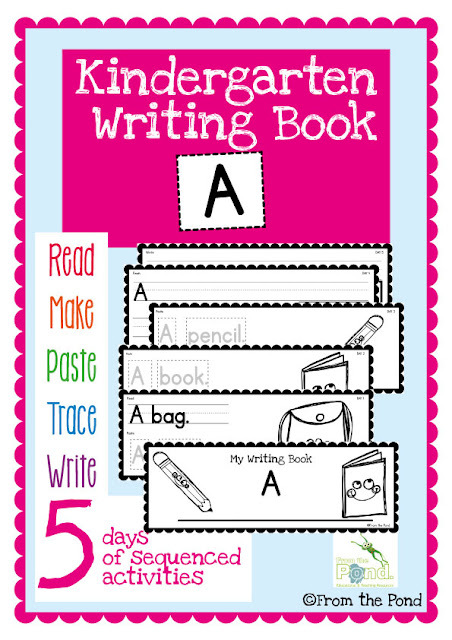 I have revised the files so they no longer say "Kindergarten Writing Book" and now say "My Writing Book". If you have the bundle, you may want to re-download! 5. 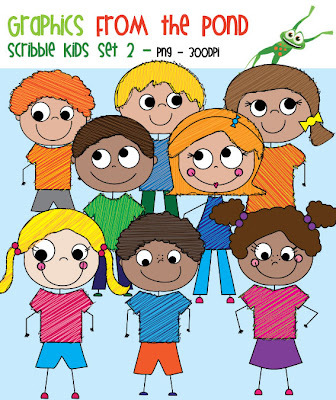 And this random post is reason enough to introduce you to the Scribble Kids Set 2! 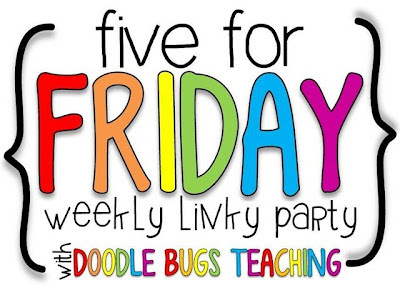 Head over to Doodle Bugs Teaching to find more great '5 for Friday' posts! I have always had little plastic tubs of counters (you might call them 'chips') in my classroom, in ready-to-go sets of ten and twenty. 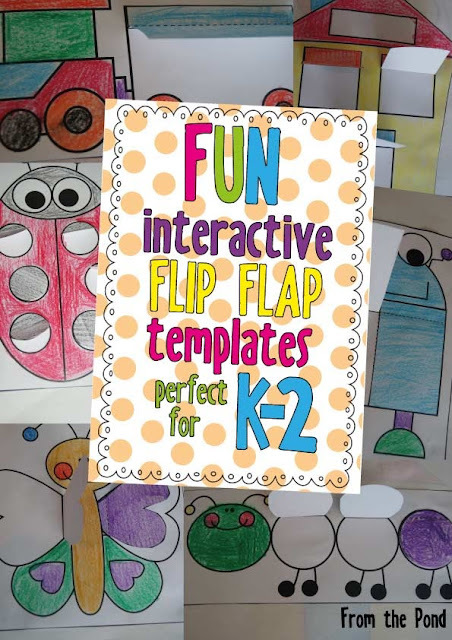 It makes small group learning a breeze and allows for more fluid activities and learning targets. You can set up an activity quickly as you respond to daily growth in counting and arithmetic strategies. You can quickly hand out exact sets of counters and implement a hands-on activity in minutes. This year I was introduced to a great idea for storing containers of counters. I normally use up a few of my precious tote-trays (tubs) with my sets. This idea will save you so much space as you can screw them to the wall! They are sewing/craft organizers. For my Australian friends, I found these ones at Big W - and they are on sale this week for $10 (normally $15). Each section has three round clear plastic tubs that screw together. I added a sticker for my sets of ten and twenty. If you have older students, you could make sets of 50 or 100! 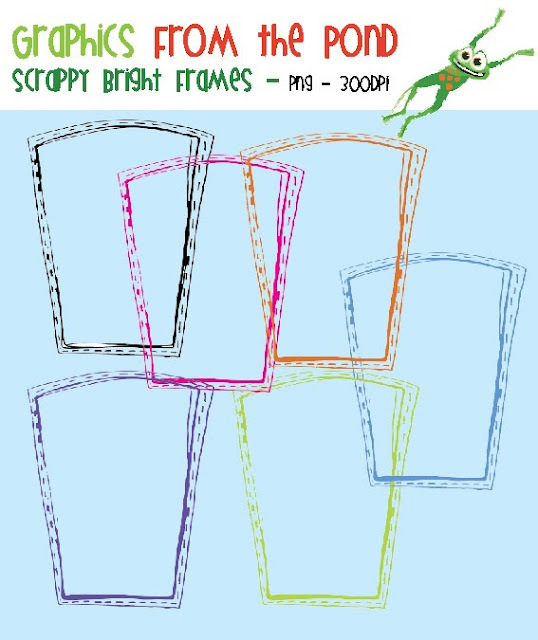 Simply untwist them to hand them out to your students. Then each set of 3 sits nicely in the bracket. TOO easy! Is it sad that I am looking forward to full time work again so I can gets these babies screwed up on the wall!! I am thinking in a nice little spot that cannot be filled with cute posters or shelving! 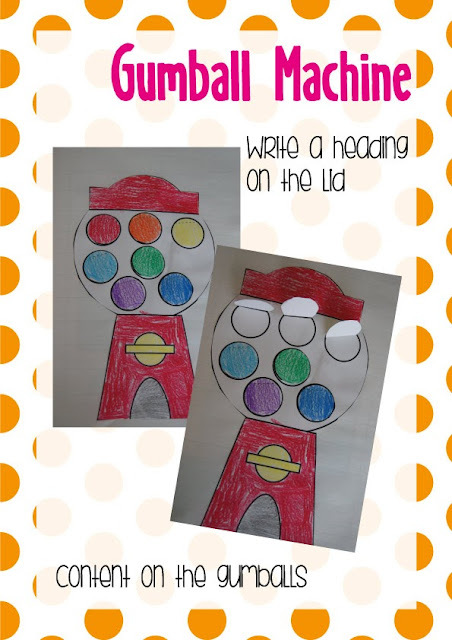 I am ALL about making every space in the classroom useful, functional (and cute if possible)! Speaking of counters, as well as having sets like these, I also like to have numbered sets. 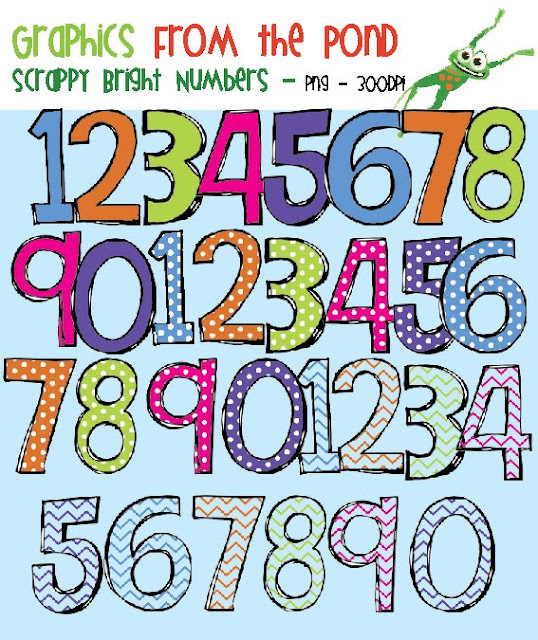 Just write numbers on with a marker and use them for number sequencing and counting activities - like my new 'Piggy in the Middle'. This game/center can be used as a write'n'wipe activity OR use numbered counters - students work out the number that comes in the middle of the sequence. Have you dropped by my Facebook page yet to become a 'fan'. 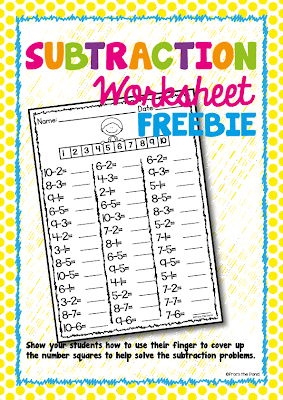 In the 'Fans Only' tab you will find a new freebie - a simple subtraction worksheet - inspired by my daughter's sudden fascination with subtraction! Speedy Work and A Sale! I thought I might take a moment to explain how my "Speedy Work Desk Motivator" works. I made it with the student-that-has-difficulty-staying-on-task-at-his-desk in mind! So it is primarily for desk work. The idea is that your target students receive a desk mat to place on their desk. 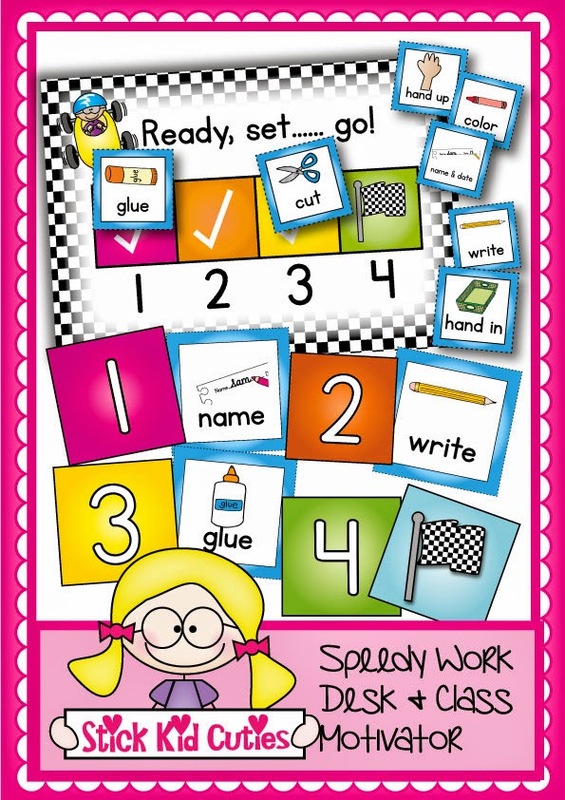 There are 4 spaces to secure (with velcro dots or blu-tac) a picture of the tasks you would like them to complete. Put them in task order. As the student completes each task, he/she may remove the picture card - and an affirming 'tick' will be revealed! Once the last task is completed, the student will find the checkered flag or 'finish line' revealed! On display, in your classroom each day is the finish posetr reward chart. Switch out the reward to keep things fresh and motivating. Just attach a little sample of the reward so your student can visually see what is up for grabs. In the example I have put a sheet of stickers to represent that the student would receive a sticker for getting to the finish line. Two desk mat sizes are included. And USA and English/Aussie spellings. It also features large teacher cards - these are great for putting at the front of the class and using to motivate the whole class. A student can come out and replace the picture with a check (tick) as each task is completed by the entire class. You can find it in my store HERE - and its on sale! In fact, EVERYTHING in my store is on sale until 19th August (USA time). It is time to empty that wishlist! Congratulations to Amy F who won a $25 voucher to my store in our recent blog hop! Also to Susan and Katy who each won a $50 gift voucher! $100 + In Prizes on Our Friendly Blog Hop! If you read teacher blogs - particularly from bloggers that are teacher-authors for sites such as TeacherspayTeachers, you will hear them talk about their 'journey' from time to time. Self-publishing teaching resources and documents is seriously a fantastic way to develop and enhance so many skills. Not only do you find your 'teaching' improve but also your technology, 'design' (or at least thinking about how to 'present' things to an audience), communication, time management, collaboration.. the list goes on. As well as all these perks, one of the best things that has happened to me, on this 'journey' is that I have found kindred spirits. All. Over. The. World! People that are a LOT like me! After many years in the very private and isolating world of your own classroom (in terms of adult collaboration) - it is so refreshing to be able to easily chat about things with online friends. Share ideas, support one another and vent about the little 'niggles' of the job that would normally get us down. As well as friends from other countries, I have developed strong bonds with some girls right here in Australia during the last year or so. People I chat with nearly every day, from each corner of our country (almost). One I have even met and the others I hope to meet very soon! We have been wanting to do another blog hop for about 6 months but in true Aussie style, it took us a while to get organised! So when we finally got our act together, and we decided to help our US friends celebrate Back-to-School - the theme BTS with Friends seemed perfect! At each stop there will be a Rafflecopter for you to enter for the chance to win a prize from out stores. Here on my blog, I am giving away a $25 open order to any of my stores. The bonus of visiting each blog is that you will be able to collect a free file! 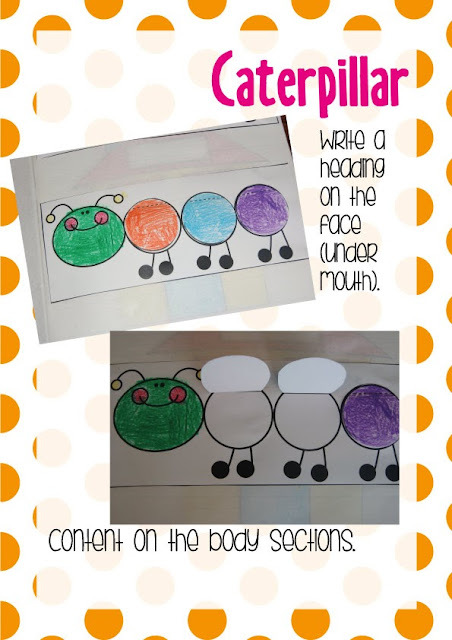 Once you have collected all the files, you will be able to piece them together and create an awesome BTS Welcome Bulletin Board for you and your kiddies to colour or paint! You can download file #1 from me by clicking on the picture below! 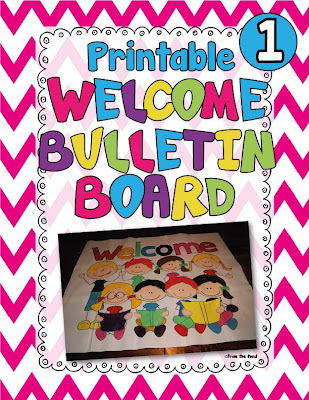 Click here to find instructions on how to put the bulletin board together! You are a bit demanding aren't you? Well there is one more thing. to help get their school year off to an awesome start! Enter my Rafflecopter below for a chance to win a $25 open order in any of my stores. And enjoy BTS with your friends, just like we are :) Hop over to Brooke's blog to find your next file and rafflecopter! If you get lost, find links to all the stops on the hop, right here!